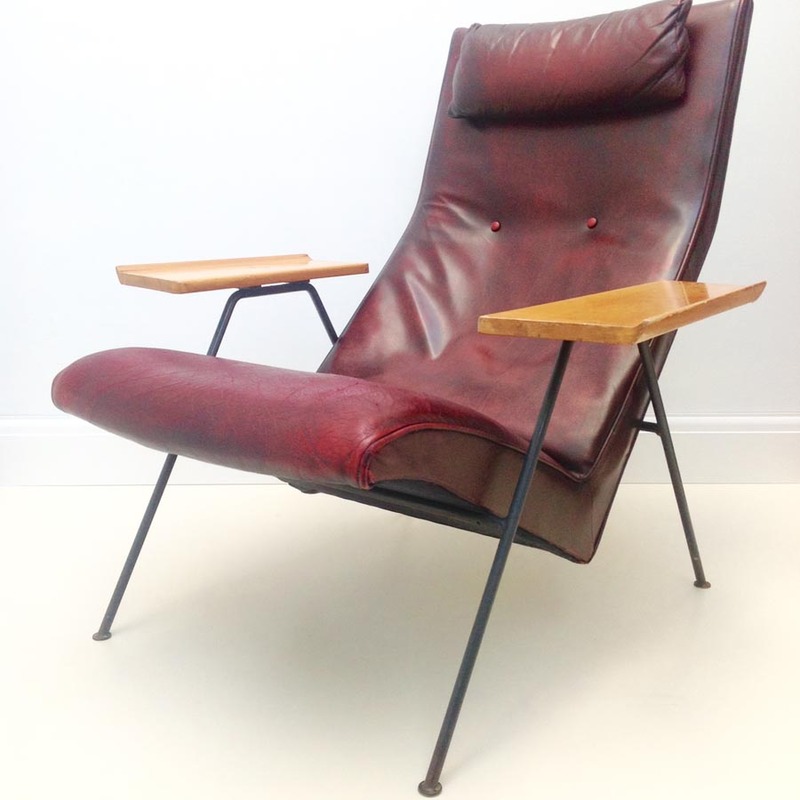 This is a rare, original Reclining chair. 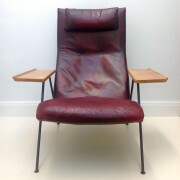 Owned from new by Day’s favoured photographer who took the photos for the ‘Hille’ brochures/leaflets to create that ‘floating’ look. 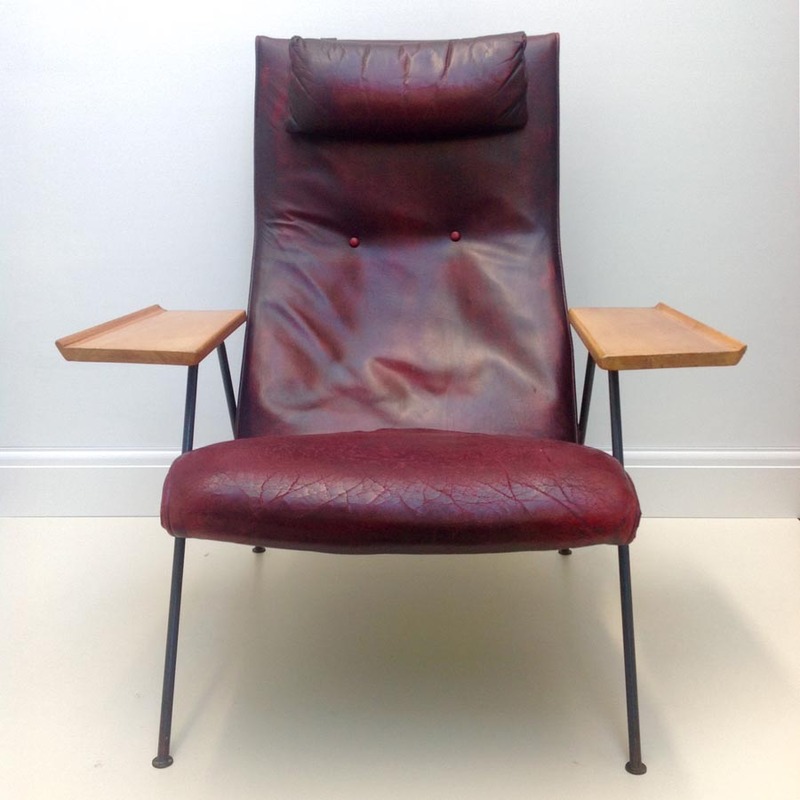 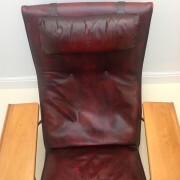 He had it re-upholsterd in leather in the 60/70s and I couldn’t bring myself to replace all that characterful history! 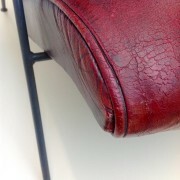 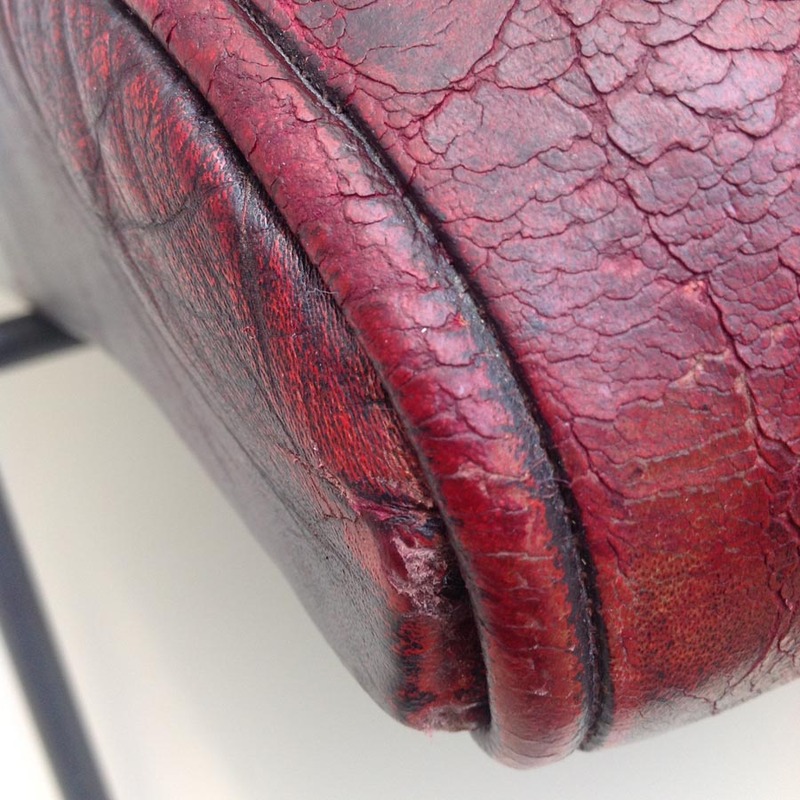 Seat re-padded & webbed from beneath & leather thoroughly cleaned & nourished. 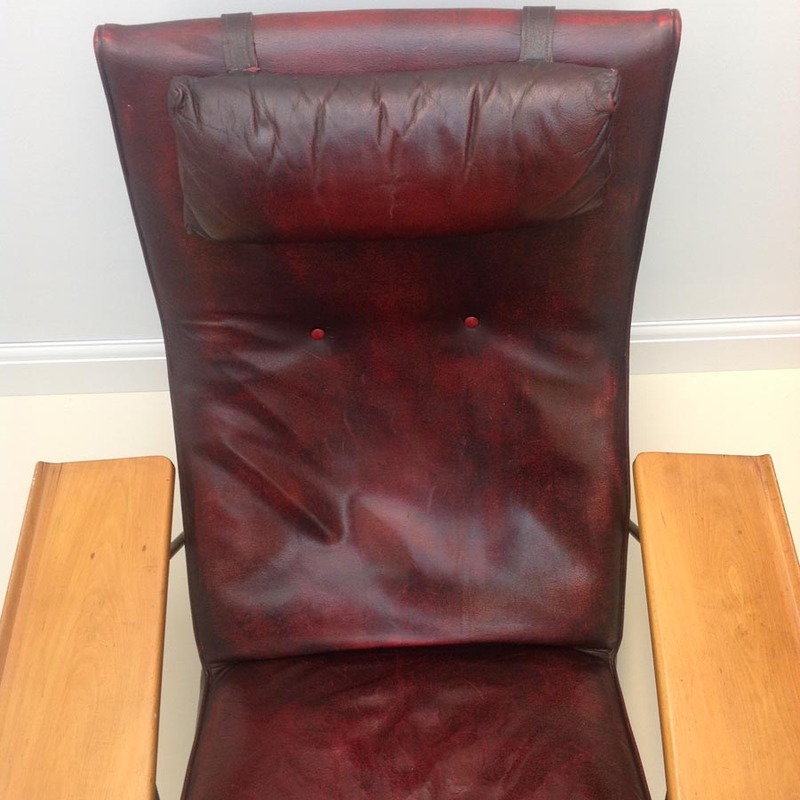 A historic chair in all ways.